The California Interscholastic Federation (CIF) has agreed to move up a requirement that metal baseball bats meet tough new safety standards, and consider imposing additional safety rules, under an agreement reached with a California legislator. The move is intended to resolve a controversy  in the state over the safety of metal bats sparked by 16-year-old high school pitcher, Gunnar Sandberg, who was struck in the head with a line drive off a metal bat and, six months later, is still recovering from life-threatening injuries. In return, California State Assemblyman Jared Huffman, who represents Sandberg's Marin County district, has agreee to drop legislation  he introduced after Sandberg's injury that would have imposed a temporary ban on the use of metal bats. Under the CIF's new rule, all metal bats for use in high school baseball in California will immediately be required to meet the Batted Ball Coefficient of Restitution Test Performance Standard (BBCOR), intended to ensure that metal bats react more like wood bats, which was originally scheduled to take effect in 2012. 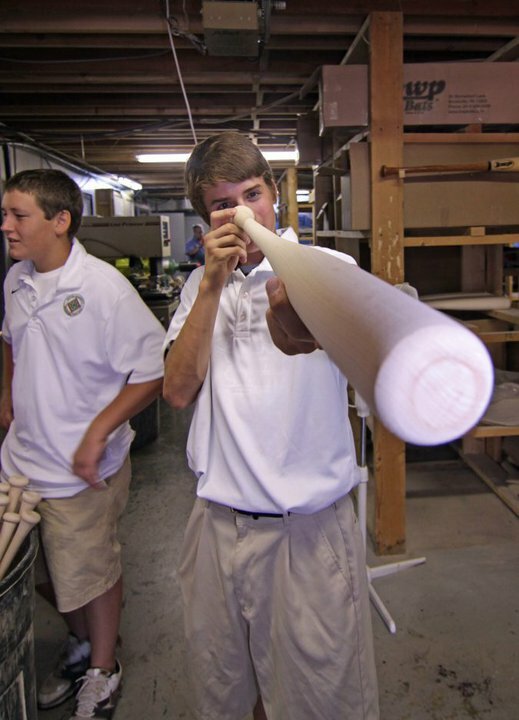 In addition, the CIF will join the NCAA, NFHS and Little League  in banning composite bats, and will require that new bats be certified as tamper proof, a vital certification designed to thwart the practice of "rolling," a process in which older bats are altered to exceed the old bat safety standards, giving batters an edge and putting pitchers at risk of being injured by a "hot" bat. Under the deal with Assemblyman Huffman, the CIF also agreed to begin work on developing safety standards for pitcher and fielder protective head-gear, a move that is likely to generate yet more controversy. The debate over whether metal bats are less safe than wooden bats exploded in Northern California following Sandberg's brain injury. Several studies have shown that baseballs hit by metal bats travel at about 4 mph faster than those hit with wooden bats; but other studies have no statistically significant difference in injury rates. Professional baseball players only use wooden bats. North Dakota is the only state to ban metal bats, but Illinois, Pennsylvania, Massachusetts, Montana and New Jersey have considered similar measures, the latter after 13-year-old Steven Domalewski suffered brain damage when his heart stopped after he was hit in the chest by a line drive off a metal bat in 2006. The next year, New York City outlawed non-wood bats.